Ben is an experienced leader with over a decade’s experience in higher education where, for more than five years, he occupied senior leadership positions. He has led projects spanning workforce planning and development, service evaluation, and data-driven insight with not-for-profit, health sector, government and commercial clients. He is an expert in applying data science to real-world problems, with work that has been reported in over 60 industry reports and academic papers. Partnered with industry to develop a smartphone-based health intervention that improved carers’ resilience. 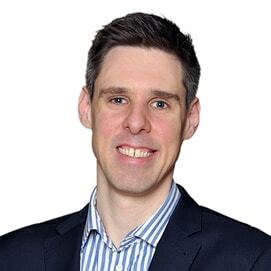 Before joining Nous, Ben occupied senior higher education leadership roles and worked for eight years as a private consultant, primarily in the health sector. He holds a PhD in psychology and is an experienced data scientist. He currently holds an Honorary Associate Professorship with Deakin University and serves as an external expert on the Senior Practitioner Research Review Advisory Panel. Ben was also dux of his Bachelor of Applied Science (Honours in Psychology) from Deakin University. Ben enjoys listening to podcasts covering true crime, politics or history during his daily walk. He is also a besotted father of two young kids.